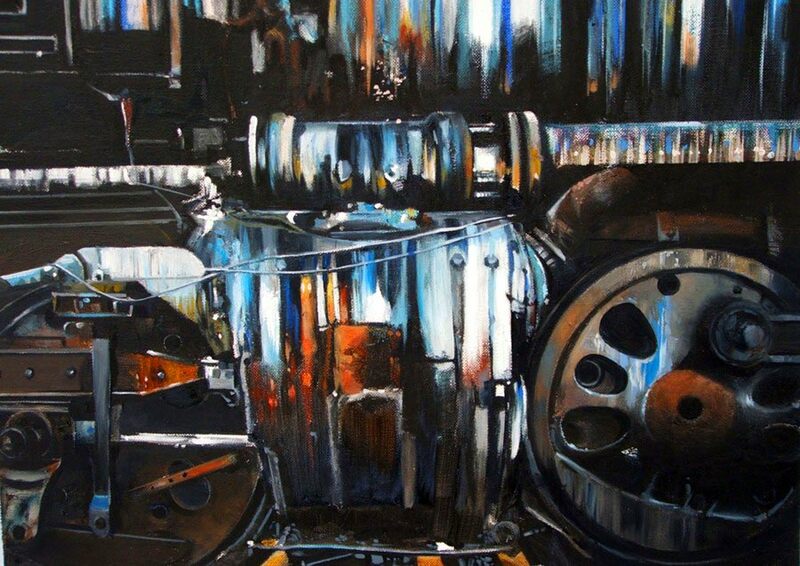 ... is an accomplished artist who works predominantly in oils, specialising in steam locomotives, the railway environment and railway related subjects. He was born into a family who were woven into the fabric of the Industrial Revolution as engineers and railwaymen. His Great-Grandfather was a railway engineer and his grandfather a locomotive driver in the Great War and on the old Southern Railway. As a boy Michael was greatly influenced by his late father who had a life long passion for engineering, steam engines and railway memorabilia. 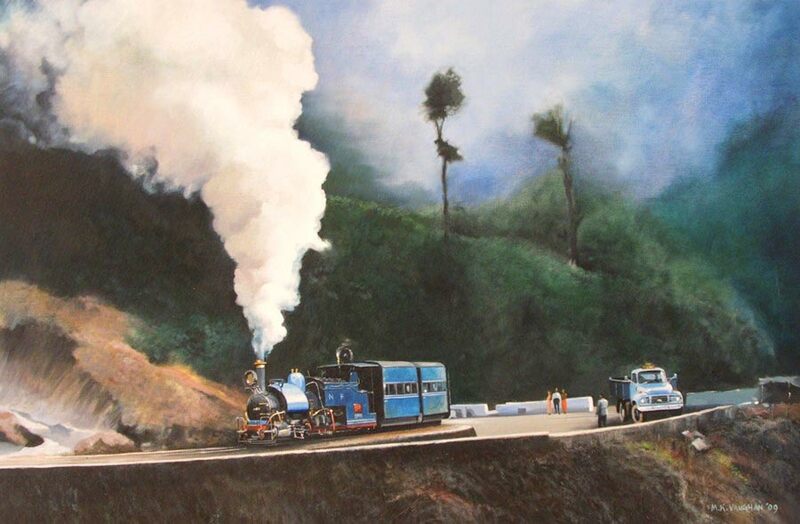 As a result, this manifested itself through drawings and paintings in an effort to capture and portray the romance, drama and excitement of live steam. Michael attended Reading Technical College, London College of Printing, Berkshire College of Art and Design. He is a Fellow of the Society of Architectural Illustration, A Member ofÂ the Chartered Society of Designers and a Member Of the British Institute of Interior Design. Michael is an Allumnus of Thames Valley University. Having completed a career in Design he is now a full time artist and illustrator working from his studio in Berkshire. 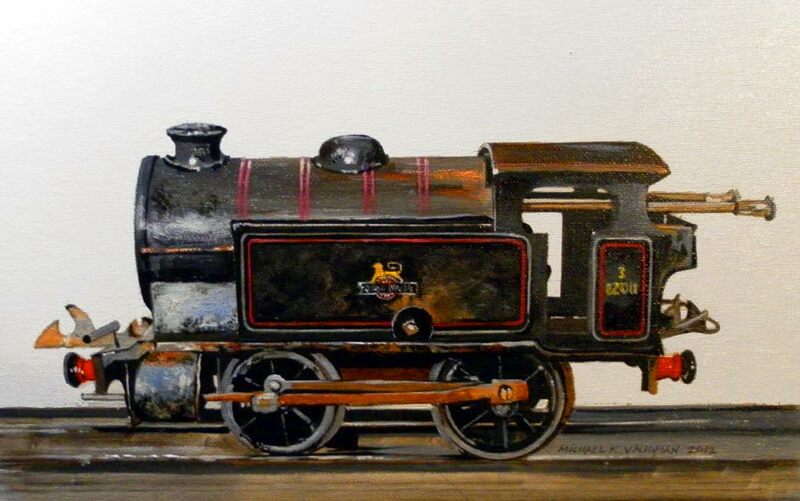 He has exhibited paintings at Wokingham Spring Arts Festival, Uxbridge University Arts Exhibition, Rail Art 2012 held at the Historic Dockyard, Chatham and The Anise Gallery in London. A study of an original Hornby tinplate clockwork locomotive type No 40 made by Meccano Ltd and numbered 3/82011 Gauge 0. US Giant loco rusting away in a static display of power & beauty. A derivative artwork. Oils on stretched canvas. B Type Class locomotive descending the railway with it's train, passing through shadowed and misted hills. 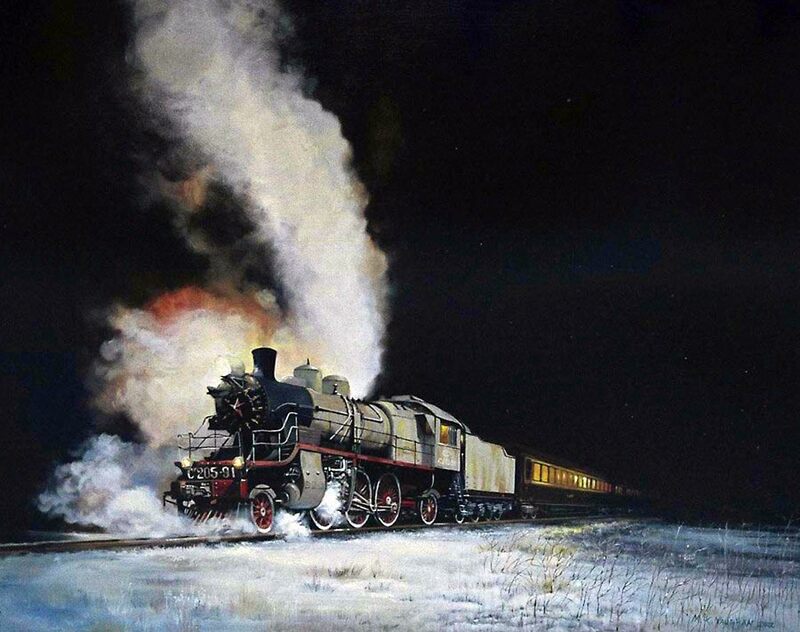 Soviet Locomotive Type Su with it's train on the Trans-Siberian Railway illuminating clouds of billowing steam on a black winters night.